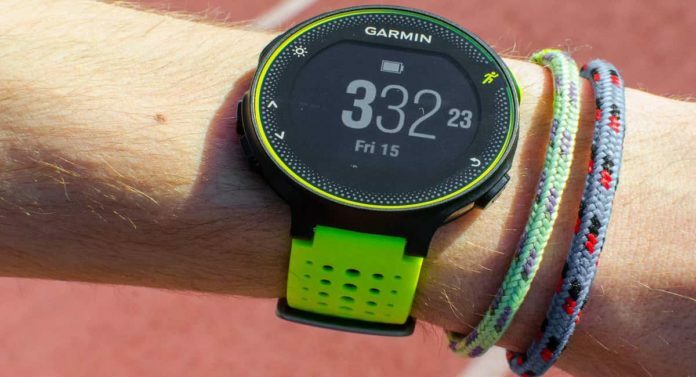 A GPS watch, also known as a speed and distance monitor is a device that’s primarily used to measure your running data, like how fast you’ve run, how far and at what pace. Before the adoption of GPS watches, there used to be two ways to measure running data: either with a footpod or a GPS receiver. You might come across people who still utilize the footpod, but its production has been discontinued in most places. The footpod utilizes a technology piece known as an accelerometer to estimate how far your foot has travelled by simply measuring the amount of time it takes for your foot to touch the ground. You can find applications in smartphones that take advantage of this technology to measure your daily steps. Devices that utilized this system were very precise when calibrated and weren’t affected by weather conditions. However, they were not that great when it came to measuring data in the hills. GPS technology has become pretty advanced nowadays and is used in an array of applications. There are numerous satellites that orbit the earth and they send signals to GPS receivers here on earth, thus relaying data regarding the location of the satellites relative to the earth as well as the time that the signals were sent. The receiver then figures out how far it is from the satellites and then calculates its location on the planet. The reason this technology is widely adopted is its extreme accuracy. GPS is about 99% accurate and even though it can be affected by poor weather conditions like clouds and rain, or even tall structures and regions that are densely populated, we now have sensitive receivers with advanced tech, thus reducing the discrepancies. For example, Garmin utilizes the GLONASS Russian satellite-based Nav system in addition to the GPS system. Additional satellites mean faster and more precise relay of information. The appealing part about a GPS watch is that everything is built in the device and you simply have to press start as you start your session. It runs just like a mobile phone and utilizes battery, meaning you need to charge it. The typical battery life is around 8 hours but you can get more from advanced models. The latter will not only give you information regarding the distance you have covered, but also the speed, pace, descent, elevation, barometric reading and much more. With a GPS monitor, you simply have a virtual racer or a training partner when you get out with your new runners from Orthotic shop. When it comes to picking the right model, it is important to take the time to consider all the features that you need or want to use. Many options and buttons tend to make people overwhelmed and few features might make you wish you have spent a bit more for that extra data. -Interval training with recovery by heart rate or distance. -Online training analysis and much more. These models are great for those who are aiming for specific goals, require guidance, geeks, triathletes or simply those who wish to be challenged.